SEOUL, April 15. /TASS/. 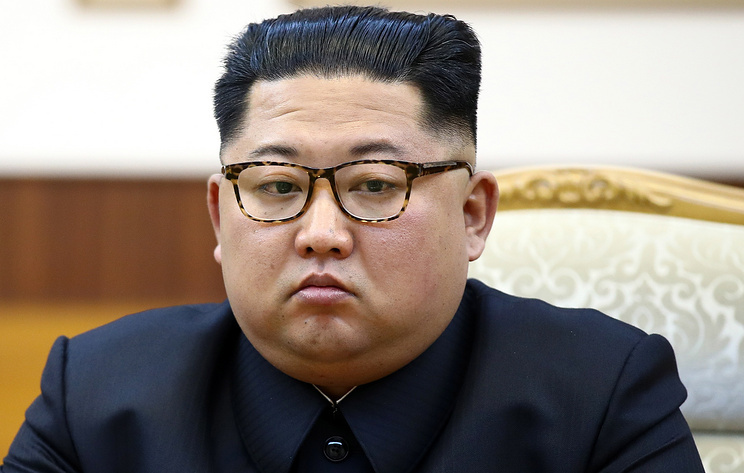 North Korean leader Kim Jong-un could visit Russia as early as next week, Yonhap News Agency reported on Monday citing its own sources in Moscow. “Chances are fairly high that a summit between Russia and North Korea could take place around that time,” the news agency said. According to Yonhap, the top-level meeting is likely to be held in Vladivostok. The news agency noted that Russian President Vladimir Putin would take part in the One Belt, One Road forum in China on April 26-27. According to one of its sources, Putin’s meeting with Kim could be held a day or two before or immediately after that event. Yonhap earlier reported that Kim Chang-son, known as Kim Jong-un’s de facto chief of staff, visited Moscow and Vladivostok on March 19-25. According to the news agency, that trip is related to preparations for the North Korean leader’s visit to Russia. On March 14, Russian Deputy Foreign Minister Igor Morgulov and his North Korean counterpart Im Chon Il discussed the schedule of political contacts between Moscow and Pyongyang. Hey Buddy!, I found this information for you: "Kim Jong-un could visit Russia before end of April – Yonhap". Here is the website link: https://russophile.org/kim-jong-un-could-visit-russia-before-end-of-april-yonhap/. Thank you.